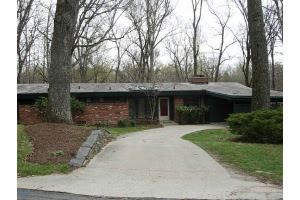 To celebrate Earth Day tomorrow, go check out this 5/3 mid-century rambler on more than an acre in Quaint Acres in Silver Spring. This is the neighborhood where Rachel Carson wrote “Silent Spring,” the book that helped spur environmental awareness in this country. The home sits at the end of a cul-de-sac and backs up to parkland. Looks like a nice spot to commune with nature. The house is open from 1 to 4 p.m. Here’s the location.